Welcome to the homepage of Dr. Ghislain Deslongchamps, Professor in the Department of Chemistry at the University of New Brunswick. This is the main portal to my courses and my group's research activities. The visualization section links to our work in visualization and science education, and the development of innovative and interactive courseware for teaching and learning organic chemistry. July 2018 - Bent bonds paper #5: J. Org. Chem. (83, 10383, 2018). May 2018 - Bent bonds paper #4: J. Org. Chem. (83, 5751, 2018). Apr. 2017 - Publication of "Organic Chemistry: Mechanistic patterns", Ogilvie, Ackroyd, Browning, Deslongchamps, Lee, Sauer, 1st Ed., Nelson Education, 2017 (ISBN 017650026-X). March 2017 - "Organic ChemWare" released in standalone version and as companion site to "Organic Chemistry: Mechanistic patterns". Aug. 2016 - Bent bonds paper #3: Org. Biomol. Chem. (14, 7754, 2016). Apr. 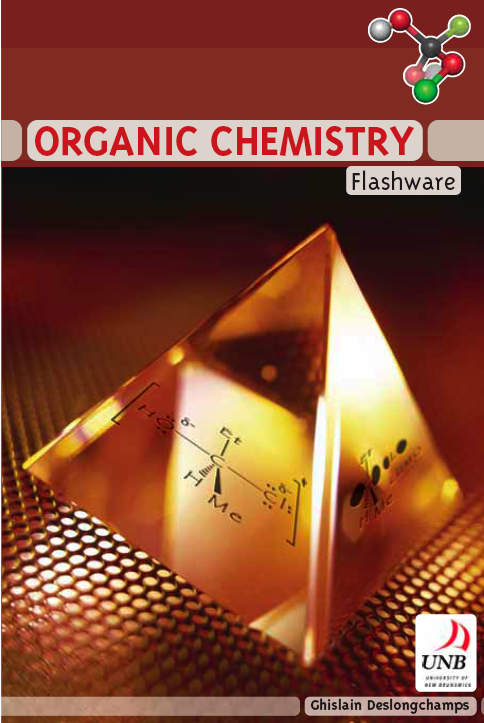 2014 - "Organic Chemistry Flashware" integrated as online resource for "Chemistry: Human Activity, Chemical Reactivity" 2nd Ed. by Mahaffy et al. Apr. 2013 - "Bent bonds paper #2" appears as Perspectives article in Tetrahedron (69, 6022, 2013). Aug. 30, 2011 - "Bent Bonds paper #1" among top ten most accessed articles for July in Org. Biomol. Chem. (9, 5321, 2011). 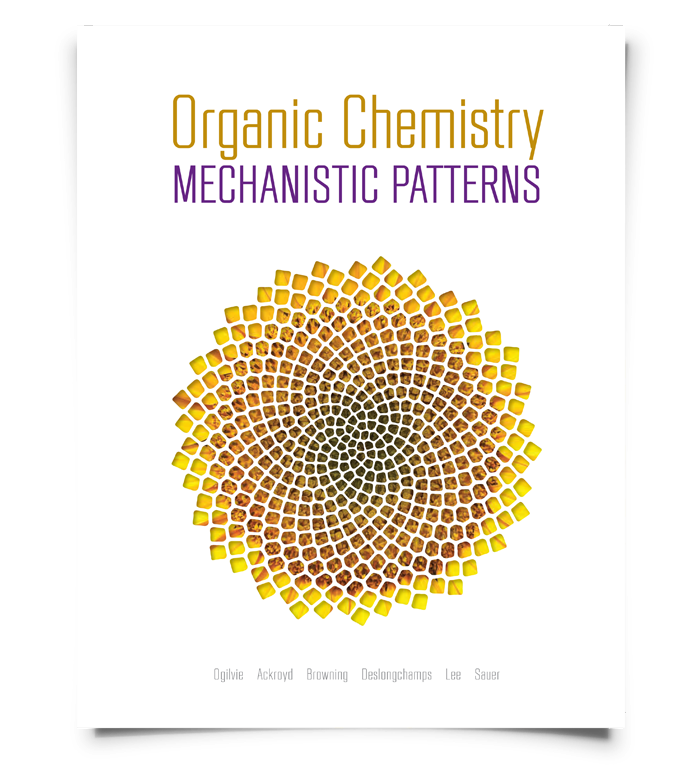 Organic Chemistry: Mechanistic patterns (Ogilvie, Ackroyd, Browning,Deslongchamps, Lee, Sauer, 1st Ed., Nelson Education, 2017, ISBN 017650026-X) is the very first introductory organic chemistry title that holistically focuses on a mechanistic approach; an approach that has proven to achieve a deeper understanding of chemical reactivity. This mechanistic approach visualizes reactivity as a collection of patterns in electron movement, making it possible for students to describe why a reaction occurred. Recognizing patterns of electron flow between seemingly different reactions will allow students to predict how a chemical will react, even if the particular reaction is new to them. Organic ChemWare is a comprehensive collection of interactive simulations included with this text that redefines the lecture experience. Organic ChemWare is the new collection of web-based interactives that bridge the gap between the static imagery of textbooks and the dynamic world of organic chemistry. It is designed to help students learn organic chemistry while redefining the lecture experience. It consists of over 235 HTML5-compliant learning objects with an emphasis on the curved arrow notation, reaction mechanisms, orbital interactions, conformational analysis, stereochemistry, and NMR spectroscopy (ISBN 0176816119). A subset of 185 interactives has been integrated into "Organic Chemistry - Mechanistic patterns", 1st Ed. and is available from the text companion site (ISBN 0176822925). Organic Chemistry Flashware is a legacy Flash-based collection of 135 interactive web-based learning objects designed to assist students studying organic chemistry. the Flashware collection is still available as a web-based subscription, for individual and institutional use at: http://flashchem.nelson.com.